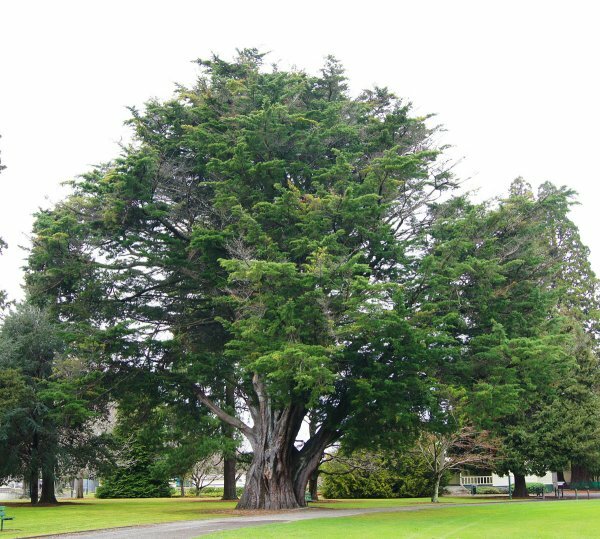 A nice specimen of Monterey cypress, located at the north-eastern end of the Queen Elizabeth II Park cricket oval (Smillie 2011). 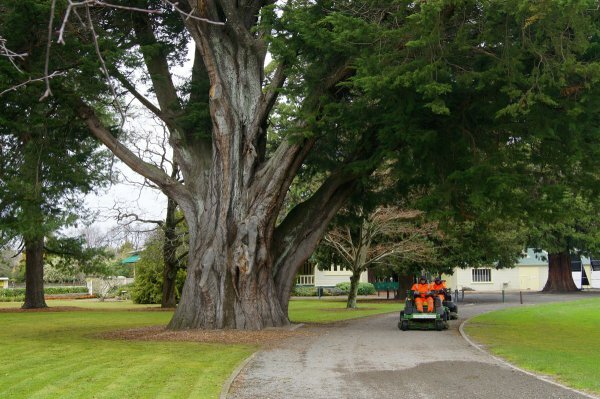 Dense foliage, but some tree surgery has been performed in the past (July 2011). 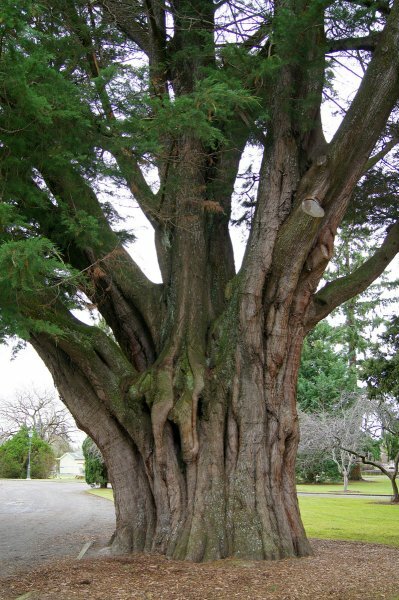 Short, squat trunk starting to branch at approximately 1.5 to 2 m. Tree surgery has reduced the crown on one side of the tree. 22 Jul 2011 Smillie, M.J.
At the north-east end of the cricket oval.